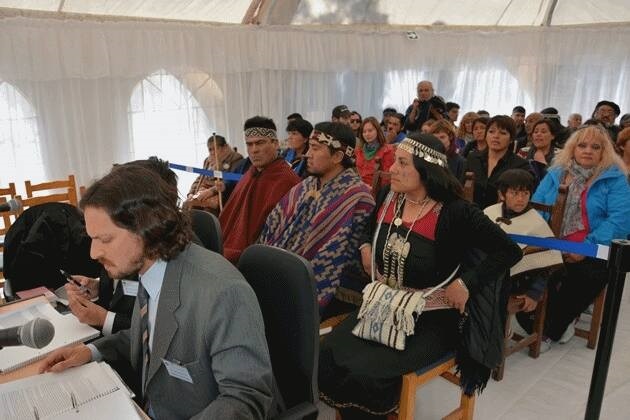 The trial of Mapuche woman Relmu Ñamku began a few days ago in Argentina. She could be sentenced to 15 years in prison for defending her territory against fossil fuel extraction activities. 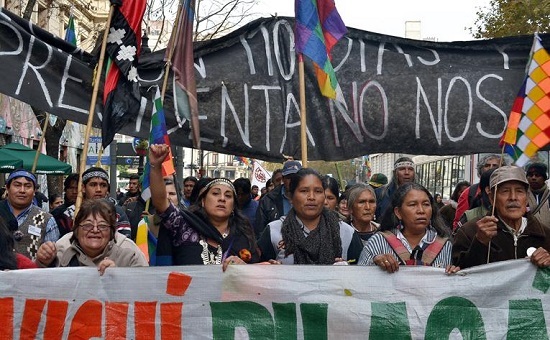 Her case highlights a trend: while fossil fuel corporations go to extremes in search of new fuel sources, political actions are also going to extremes to repress communities and organizations that oppose extractivism. In the last few years the news that the country has huge reserves of unconventional fossil fuels has spurred the government to bring in legal reforms that pave the way for shale oil and gas extraction.The reforms also push for the renewed extraction of mature deposits (that is, secondary and tertiary extractionof depleted or low-pressure deposits). The idea is not only to end the period of fuel shortage in the country, but to generate enough for export. 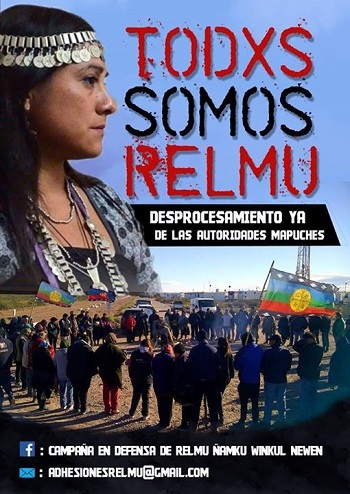 One case that has become highly charged in recent months is that of Relmu Ñamku, an indigenous Mapuche woman from the Winkul Newen community in Neuquén province, who is being indicted for defending her community against a corporation trying to expand its extractive activities in Mapuche territory. 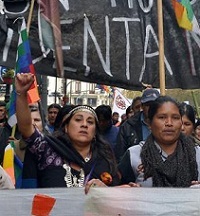 In reality, even if Argentina recognizes in its Constitution and laws the international rights framework of indigenous peoples, these are not applied or enforced. There are reports that confirm that socio-environmental conflicts in indigenous communities have increased: indigenous territories often contain valuable natural resources like timber, water, minerals, or fossil fuels, and the impacts of extraction are felt by local communities. Also standing trial are Martín Maliqueo (Community Winkul Newen) and Mauricio Rain (Community Wiñoy Folil), who were present that day during the forced eviction attempt and are accused of aggravated damages. In 2014 came that which the social organizations had warned against: after the conclusion of a pilot project that saw 161 wells drilled across an area of 20km², YPF announced that the project with Chevron in Vaca Muerta would extend to cover an area of 395km², with more than 1,500 wells drilled and fracked. Campaigners have successfully used one legal tool that allows municipalities to ban fracking as a preventative measure to protect the environment, water, and health in their territories. 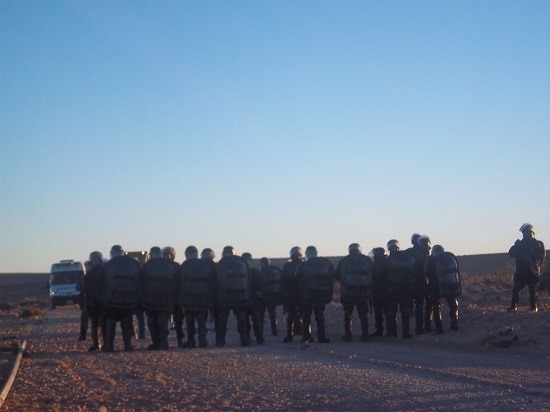 There are now around 50 fracking-free municipalities in Argentina, mostly in Entre Ríos province, where there are a range of organizations and asambleas – grassroots assemblies – which pushed for the adoption of this legal tool. One of their centralwinning arguments was the imperative to protect the Guarani aquifer, one of the world’s largest reserves of fresh water, extending more than 1 million km² and covering territory in Argentina, Brazil, Paraguay and Uruguay. Studies suggest that the aquifer contains enough water to supply 100 litres per day for every one of the world’s inhabitants for 200 years. 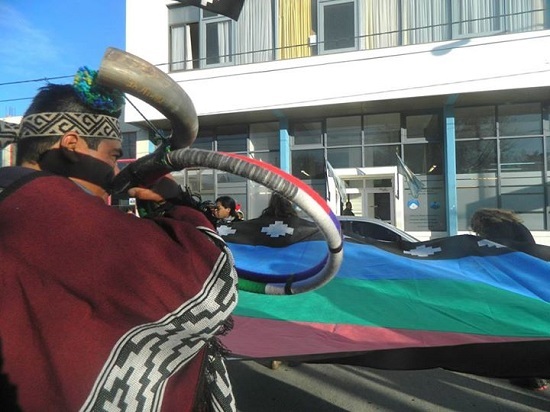 In Argentina, as Relmu Ñamku and her compañeros are on trial for not allowing the expansion of fossil fuel extraction activities in their territory, the government is supporting fossil fuel corporations by maintaining the domestic price of a barrel of oil at $80, while the international price is at $50. 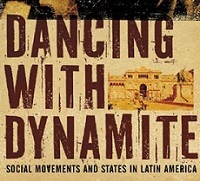 This makes evident that laws and state actions that criminalize social protest are evolving at the same time as policies that increase fossil fuel extraction, especially of unconventionals.